Almost seven months after his passing, Senator John McCain’s family is in mourning again. 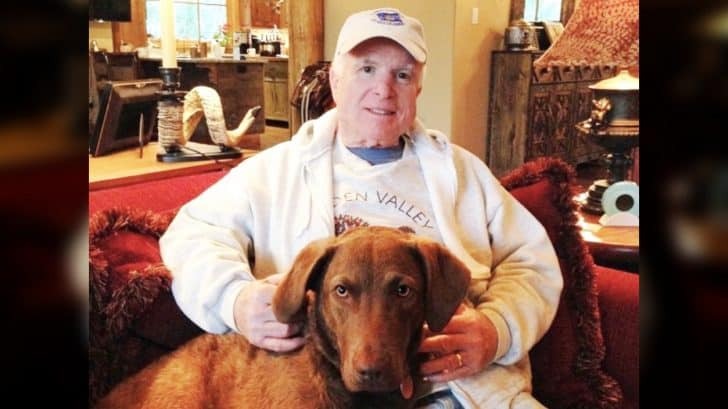 The American hero passed away in August 2018, as announced by his daughter, Meghan McCain. “I was with my father at his end, as he was with me at my beginning. In the thirty-three years we shared together, he raised me, taught me, corrected me, comforted me, encouraged me, and supported me in all things,” she shared. Since his passing, Meghan has been very vocal about her grief. “66 days. I wake up every morning still instinctually trying and reaching to call you on the phone. I miss you so much Dad it physically hurts my heart. I miss your laugh, your voice, your dark sense of humor, the way you always made me feel safe in a world that seems to have lost its way,” she wrote on October 29, 2018. Less than seven months since John McCain’s passing, his family is in mourning once again. His beloved dog, Burma, passed away in a “tragic accident.” Both Meghan and her mother Cindy McCain revealed the news on Instagram. “To all who loved our dear Burma. She died today in a tragic accident at our beloved Hidden Valley. She is now frolicking with the one she loved most in heaven now, ” Cindy wrote, referring to her late husband. As many of you know, a dog isn’t just a pet, they’re a member of the family, and Burma was part of the McCain family. She was in attendance at Meghan’s 2017 wedding, sitting comfortable in front of her best friend. Our hearts go out to McCain’s family during this difficult time.